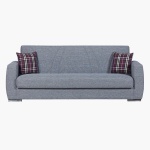 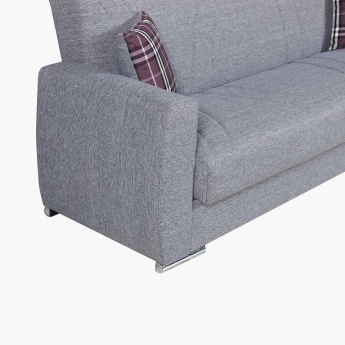 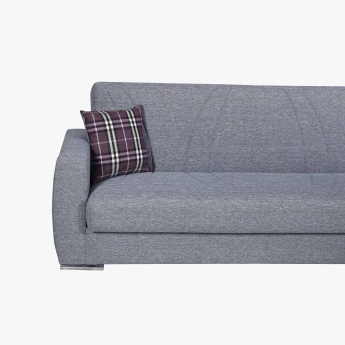 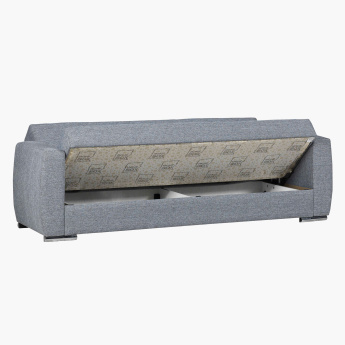 Boasting a seating capacity of three people, this durable sofa bed comes with textured fabric upholstery. 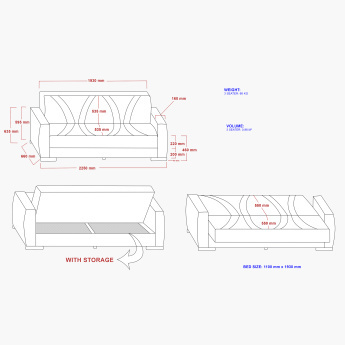 Featuring a clic-clac system, the piece easily converts into a bed as per your convenience. 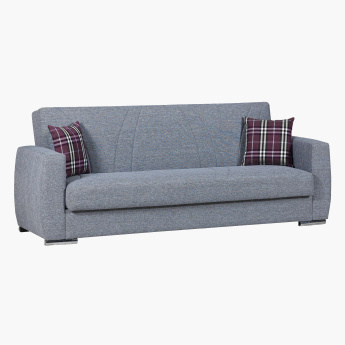 Scatter cushions with contrast checks lend a cosy touch to it, while the square arms and foam-filled seats enhance comfort. 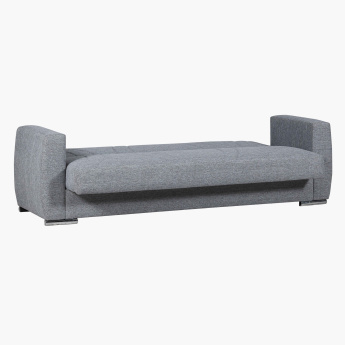 The storage within amplifies its utilitarian appeal making it ideal for living rooms and small spaces.